Top Sweden newspaper says IDF kills Palestinians for their organs. Report ties claims to New Jersey crime syndicate, prompts accusations of anti-Semitism from rival newspaper. A leading Swedish newspaper reported that Israeli soldiers are abducting Palestinians in order to steal their organs, a claim that prompted furious condemnation and accusations of anti-Semitic blood libel from a rival publication. 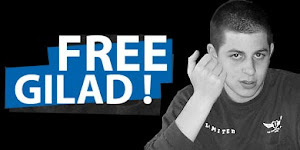 "They plunder the organs of our sons," read the headline in Sweden's largest daily newspaper, the left-leaning Aftonbladet, which devoted a double spread in its cultural section to the article. "'Our sons are used as involuntary organ donors,' relatives of Khaled from Nablus said to me, as did the mother of Raed from Jenin as well as the uncles of Machmod and Nafes from Gaza, who all had disappeared for a few days and returned by night, dead and autopsied," writes author Donald Boström in his report. Boström's article makes a link to the recent exposure of an alleged crime syndicate in New Jersey. The syndicate includes several American rabbis, and one Levy Izhak Rosenbaum, who faces charges of conspiring to broker the sale of a human kidney for a transplant. Boström also cites an incident of alleged organ snatching from 1992, during the time of the first Palestinian intifada. He says that the IDF seized a young man known for throwing stones at Israeli troops in the Nablus area, who was shot in the chest, both legs, and the stomach before being taken to a military helicopter which transported him to "a place unknown to his loved ones". Five nights later, Boström says, the young man's body was returned, wrapped in green hospital sheets. "The sharp sounds from the shovels were mixed with the occasional laughter from the soldiers who were joking with each other, waiting to go home. When Bilal was put into his grave, his chest was revealed and suddenly it became clear to the present what abuse he had been put through. Bilal was far from the only one who was buried cut-up from his stomach to his chin and the speculations about the reason why had already started," he writes. "Whispers in the dark. Anonymous sources. Rumors. That is all it takes. After all we all know what they [the Jews] are like, don't we: inhuman, hardened. Capable of anything," the opinion piece says. "Now all that remains is the defense, equally predictable: 'Anti-Semitism' No, no, just criticism of Israel." The Foreign Ministry reacted angrily on Tuesday to the report. 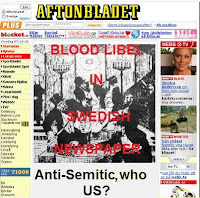 Ministry spokesperson Yigal Palmor said the newspaper's decision to publish the story is "a mark of disgrace" for the Swedish press. 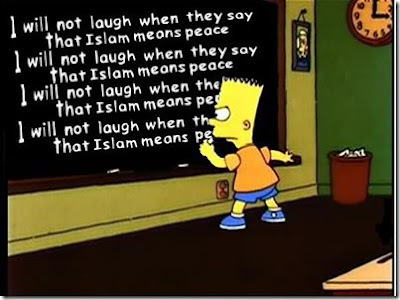 "In a democratic country, there should be no place for dark blood libels out of the Middle Ages of this type," Palmor said. 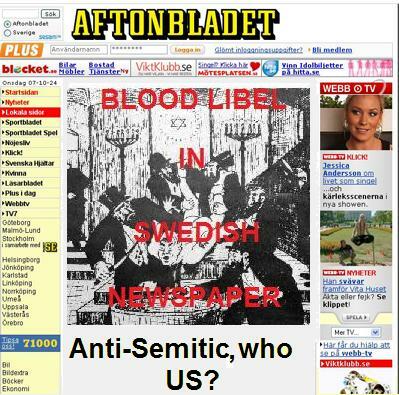 "This is an article that shames Swedish democracy and the entire Swedish press." A Foreign Ministry official said that Israel's embassy in Stockholm have communicated a harsh condemnation to the Swedish government and the newspaper itself.